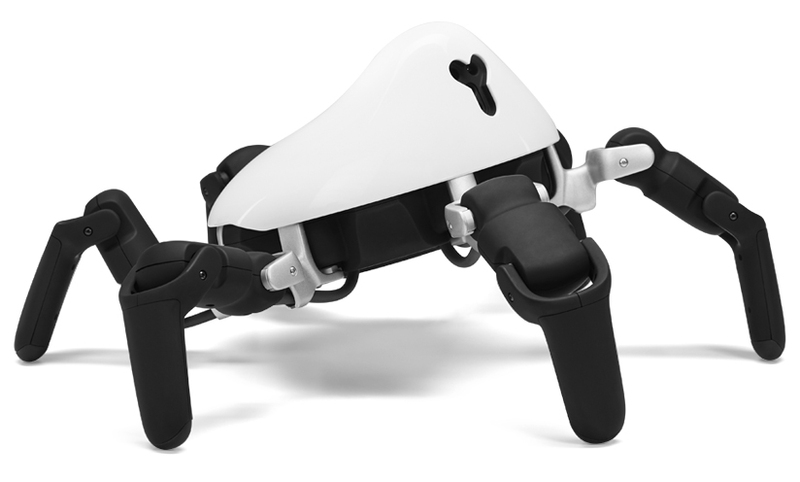 Meet HEXA, a six-legged, agile, highly adaptable robot that's got more gusto than you can imagine. 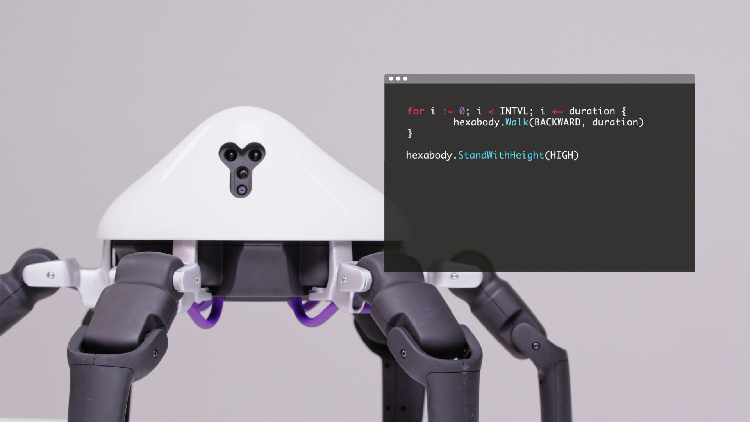 HEXA delivers you with the ideal hardware and software platform to learn and explore robotics. 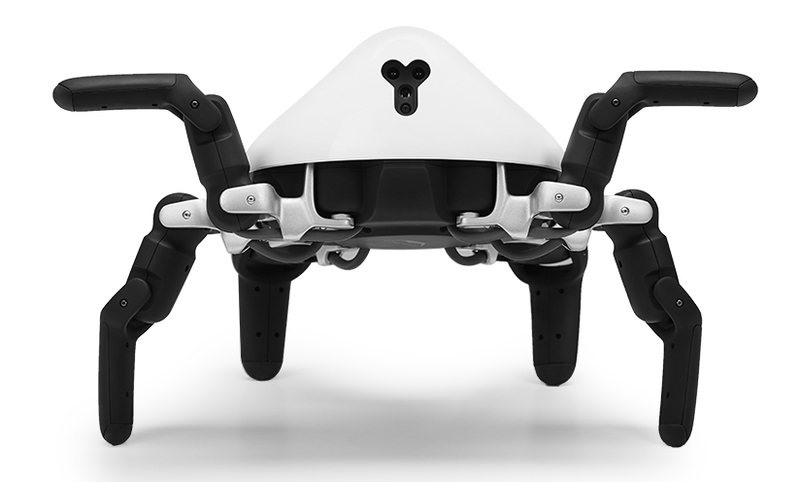 Start creating the robot functionality you've always envisioned. In stock. Usually ready for transit in 3-5 business days. 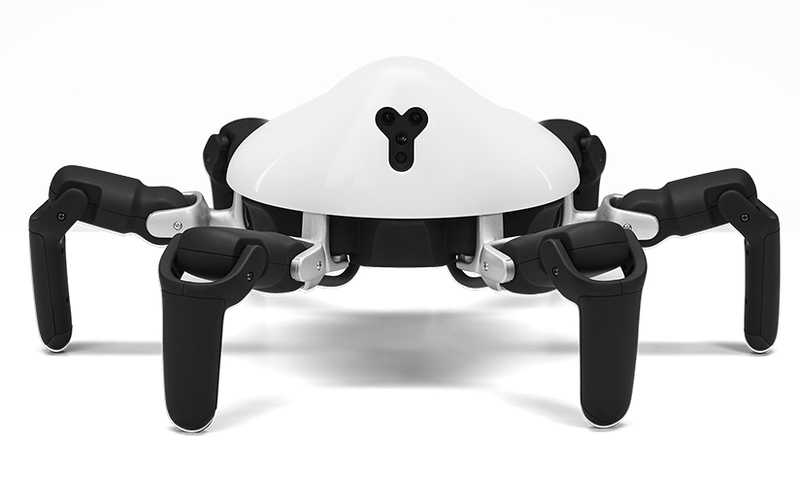 HEXA is a friendly, six-legged robot. 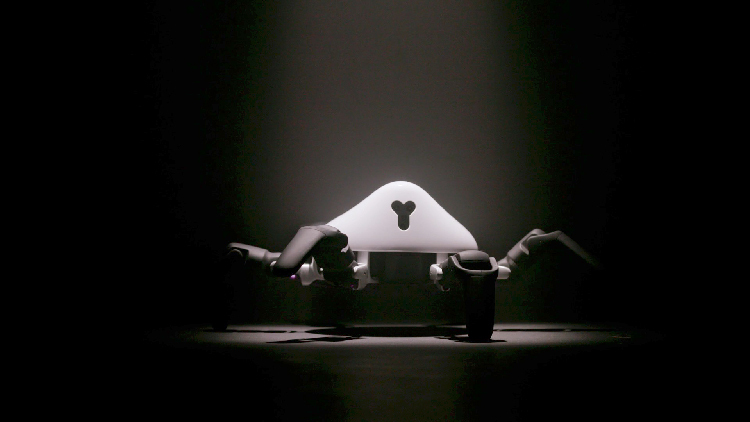 A robot inspired by nature to thrive in the real world. Agile, smart and compact enough to fit in your backpack. 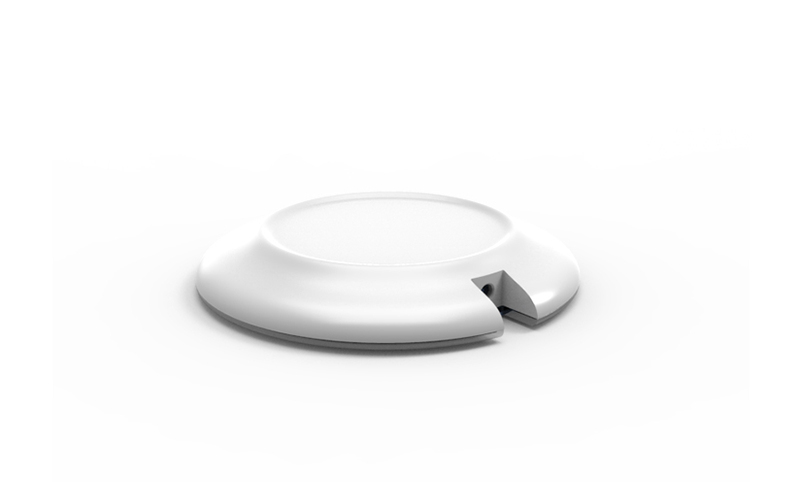 HEXA's optical and spatial sensors allow it to watch and learn from the world around it. And allow you to create interesting and intelligent functionality. Sensors include: 720p camera with night vision; 3-axis accelerometer; distance measuring sensor; infrared transmitter and more. MIND, easily create robotic functionality. 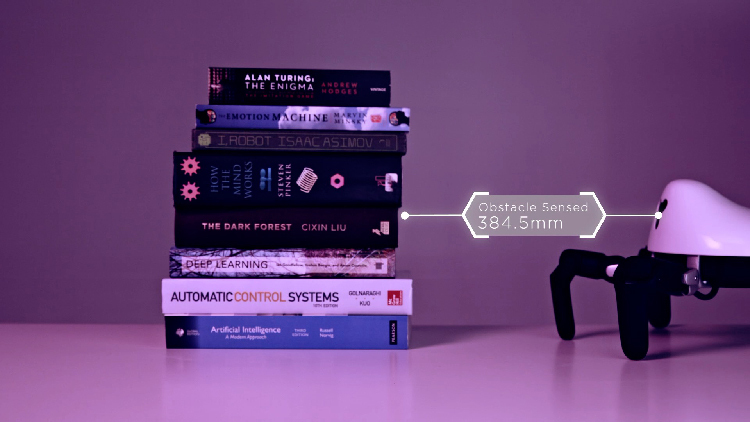 MIND is an operating system that's based on Linux kernel, built and optimized for robotics. 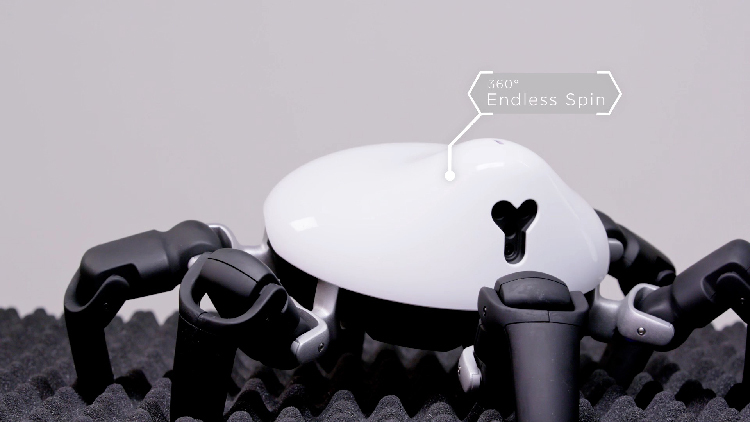 With MIND, you create movements and applications that bring your robotic ideas to life. MIND SDK: Code and program to the outer limits of your imagination. Mischievous, determined and quirky, HEXA has a real "can do" attitude and can't wait to get going. Today, we're taking 'robot baby steps'. But our dreams are much bigger. One day, we'll help robots to become life-changing and even awe-inspiring. HEXA, can you be grandma's companion? HEXA, can you find life on mars? HEXA, can you find hope where others can't?